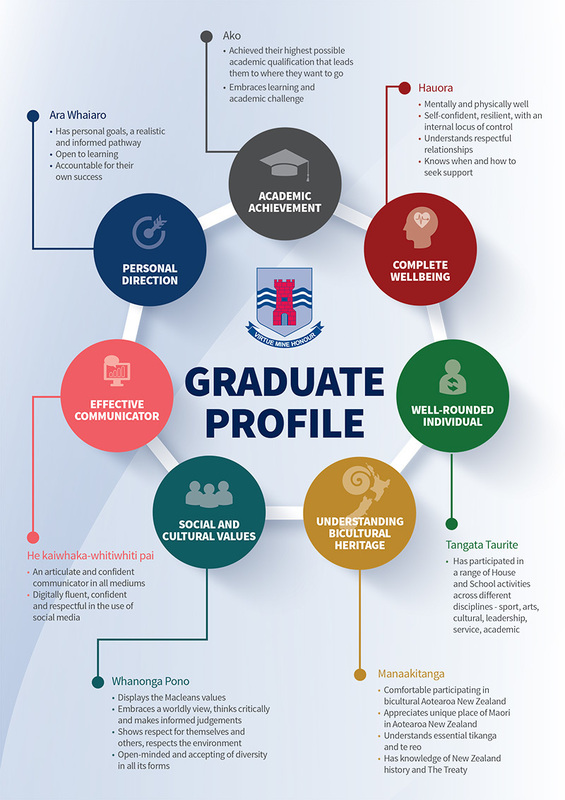 The Graduate Profile depicts the characteristics of a successful Macleans College student upon completion of their senior schooling. Deliberately, academic achievement is placed at the top to recognise the primary function of the school. Personal direction and wellbeing, along with four other attributes, support the Academic Achievement to make up the attributes fostered by a Macleans College education.